Harmon's Swimming Pool and Spa Repair in Springfield, Missouri has over 40 years of experience in the swimming pool industry. This valuable experience has equipped our team with extensive knowledge and outstanding skills regarding spas, Jacuzzis, filters, vinyl liners, safety covers, pool repair, spa repair, leak detection, and much more. 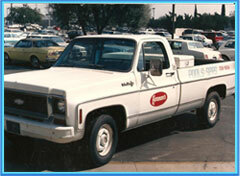 We began our swimming pool and spa career in California in 1973, where we had the opportunity to work on a variety of vinyl liner and concrete plaster pools. During the 1980's, Harmon joined the United States Army to serve his country. His service in the Army made it possible for him to gain priceless training as an electrical technician with special emphasis on electric motors, automation, controls, and problem diagnostics. His electrical training in the Army has complimented his consistent education in swimming pools and spas in an incomparable way. He can easily apply that knowledge to swimming pool problems of electrical nature. 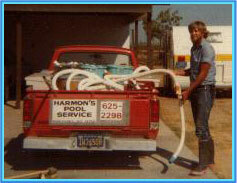 While in California, Harmon also received his certificate as licensed contractor for swimming pools. Upon moving to Springfield, Missouri, we brought a wealth of professionalism based on experience and continuous training in hot tubs and pools. 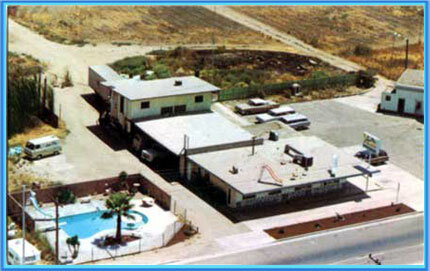 Our experience has allowed us to grow and become a leader in swimming pool and spa repair. in addition, it has also taught us to appreciate the unique needs of every customer. In pursuit of building warm relationships with our clients, we remain committed to providing you with exceptional and personal customer service you can count on. Copyright © 2018, Harmons Pool and Spa Repair. All rights reserved.